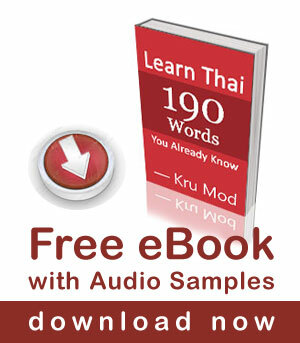 ลอย ‘Loy’ literally means ‘to float,’ while กระทง ‘kratong’ is the lotus-shaped receptacle which can float on the water. Originally, the kratong was made of banana leaves (ใบตอง [bai-dtong]) or the layers of the trunk of a banana tree or a spider lily plant. A kratong contains food, betel nuts, flowers, joss sticks, candle and coins. The making of a kratong is much more creative these days as many more materials are available. 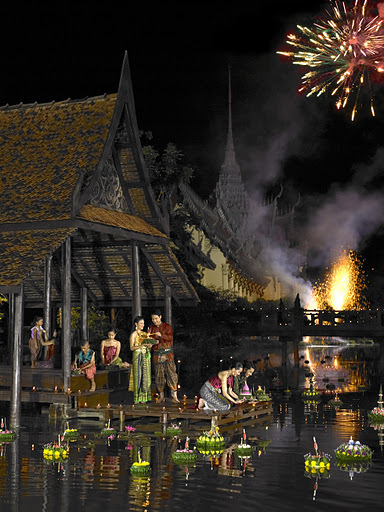 The Loy Kratong ritual is a simple one. One needs only to light the candles and the joss sticks, make one’s wishes and let it float away with the current of a river or a canal. 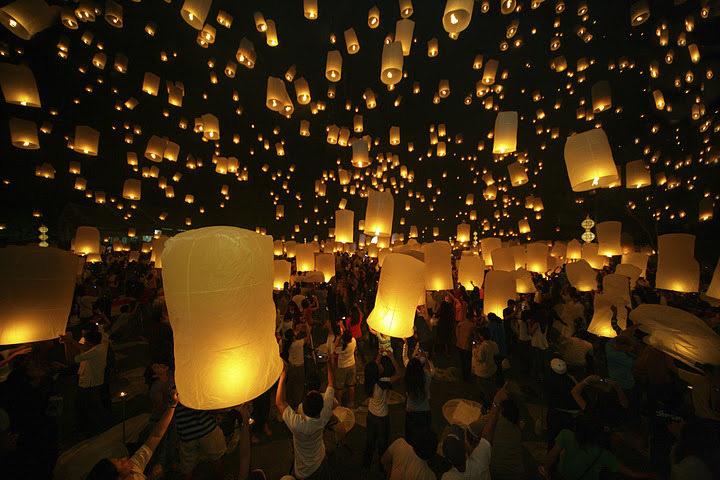 If you are in the North of Thailand, you can join the spectacular occasion at Chiang Mai where it is specifically called Yee Peng (ยี่เป็ง) -floating of lanterns into the sky.